Nature has lots to offer for landscape photographers. We love to shoot nature’s paintings. Storms, rainbows, tornadoes, lightning strikes: they’re all a gift from nature that we can play with as a landscape photographer. Volcanoes are one of them, too, especially when they’re erupting. I have been fascinated by volcanoes; they have been on my list to shoot for quite a while. My younger brother recently went to Guatemala for some backpacking and learning the Spanish language. When he sent me some photos of an erupting volcano, my photography senses were immediately triggered. 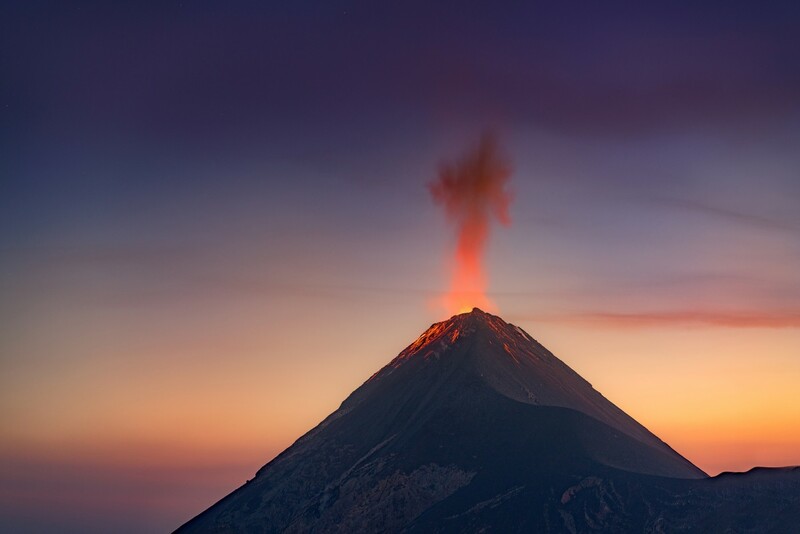 The erupting volcano was called ‘Fuego’ (literally “Fire”). 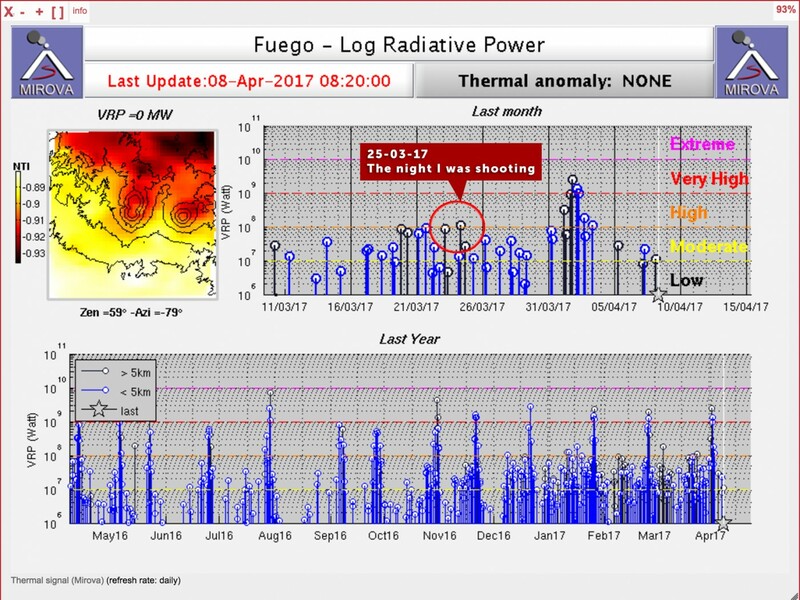 I managed to find webcams and activity on scopes and checked how active Fuego was. 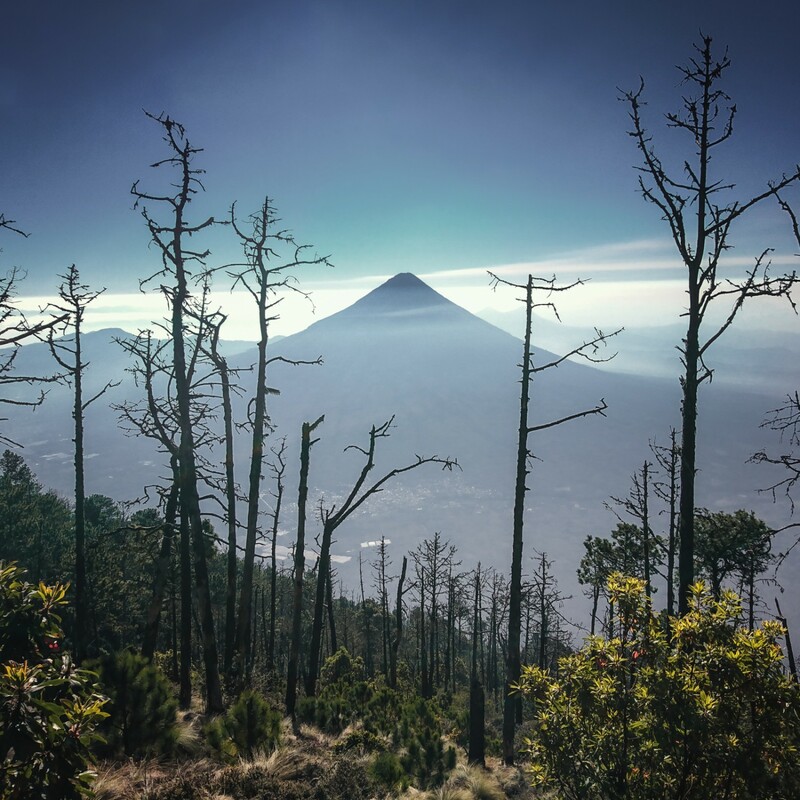 According to the history, the volcano has remained quite active, but you had to be lucky to see a lot of eruptions. Still, the idea of meeting up with my brother and shooting a volcano seemed like a good enough reason to go. When I decided I wanted to go to Guatemala to try and shoot the volcano, I started doing my research on how I wanted my shot to look. Erupting lava is best visible in evening and night, so I was obviously going for that. I researched other shots from this volcano. Most good shots were during a full moon so that you could see the scenery well, lit by the full moon in combination with the lava eruptions. I wanted to try something different. I have always been intrigued with planning and photographing the Milky Way at particular locations. 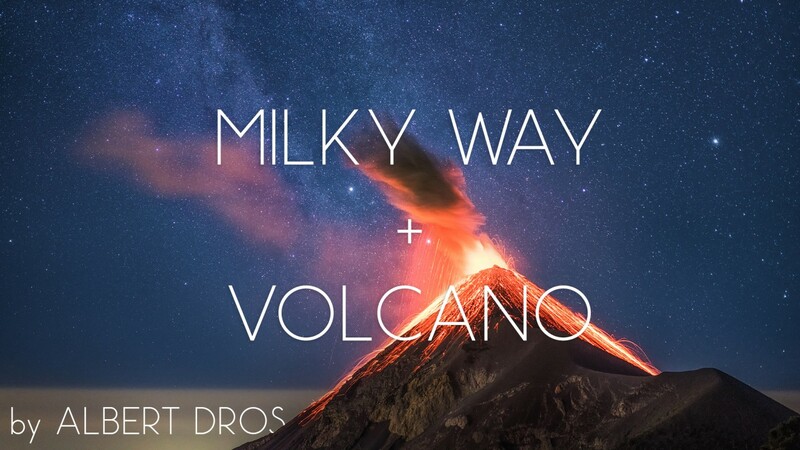 How awesome would it be to shoot the erupting volcano with the Milky Way? I checked from what angle I would be able to see the erupting volcano. The place from which I was going to be shooting was the (inactive) neighbour volcano Acatenango. 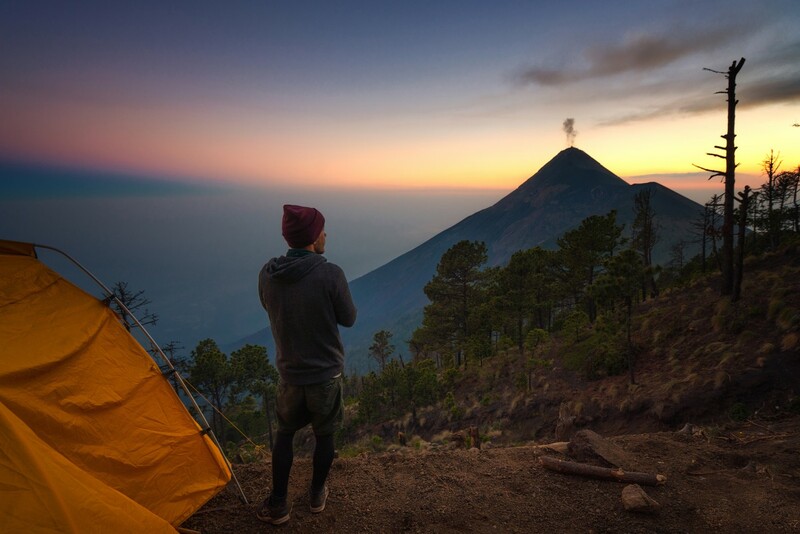 It’s possible to hike up to the top of this Acatenango for a good view of the active Fuego. I planned the shot with the PhotoPills app, and to my excitement this shot was actually possible. In the last week of March, around 3 AM, the Milky Way galactic center would be in a good position right next to the volcano. 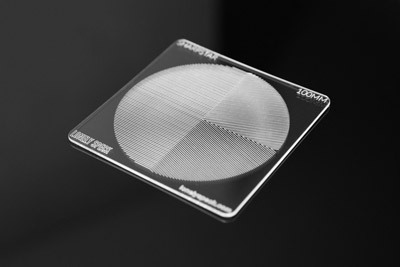 By planning on PhotoPills and visualising the view in my head, I could see how the optimal shot would unfold. I made my plan a few weeks before going to Guatemala, targeting the date of 30 March, 2017. Should the conditions change, the plan wouldn’t differ too much for the other days around my target date. While I made my plan with a private Alpha version of PhotoPills for Android, PhotoPills has since released a public Beta for Android users. So what did I need to get the shot? I figured it would be extremely difficult to get both the stars and the lava properly exposed in one exposure because of the huge contrast difference. To get the perfect balance of exposure, I thought I would have to shoot during late blue hour at sunset or early blue hour at sunrise. When planning a trick shot like this, there are a lot of factors I considered. I always like to plan everything that can be planned. When I succeed in making a difficult landscape shot, people often say “wow, you were so lucky.” They’re often actually right. In the end you always need that extra bit of luck for everything to fall into place. But ultimately, I try to keep the chances as good as possible with careful planning. For example: checking scopes and webcams every day to ‘get to know’ the volcano and calling the weather station multiple times to improve my awareness of the chances of getting a successful shot. 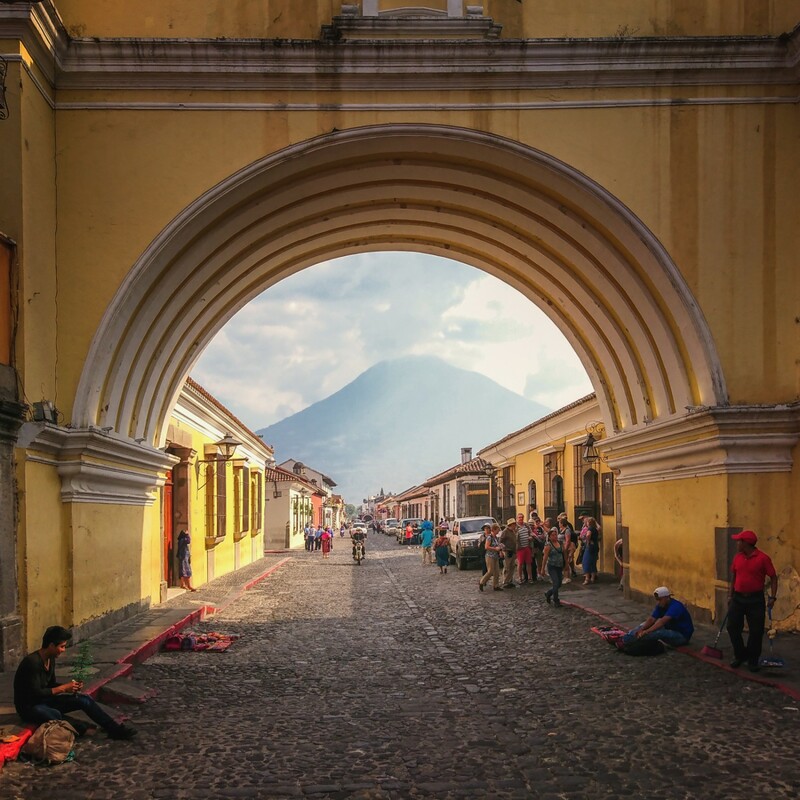 A few weeks later, after a nearly 30 hour plane trip including transfers, I found myself in Antigua, Guatemala, a nice town close to the Fuego volcano. From the town, I could see the top of the Fuego blowing smoke with occasional rumbling. Checking the seismograph activity online showed that, in the days during my travel to Guatemala, the volcano had been very active. 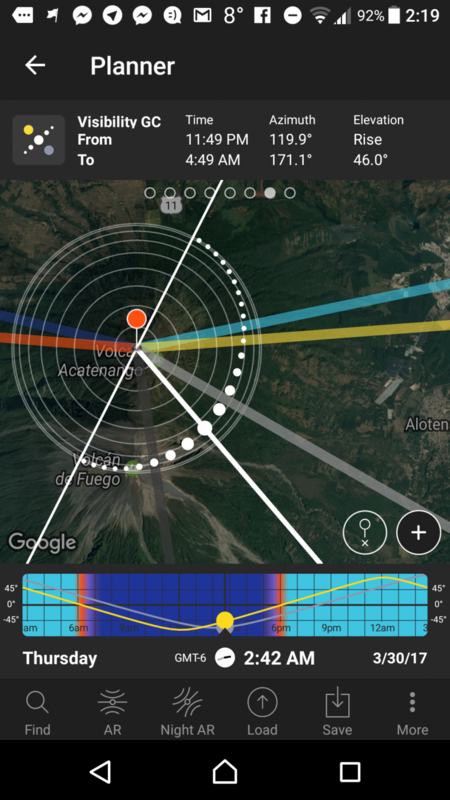 We called the weather station multiple times that day to ask their thoughts on what day would be best to climb the adjacent Acatenango volcano in regards to both volcanic activity of Fuego and for clear skies. According to the station, the weather predictions for the next day looked good and it would be the best day to try our luck. I was originally planning on getting a day of rest in Antigua before climbing the volcano but I knew I had to move fast. The 10 dollar worn out bag in which I put my photography gear so that I wouldn’t be a prime target for bandits. 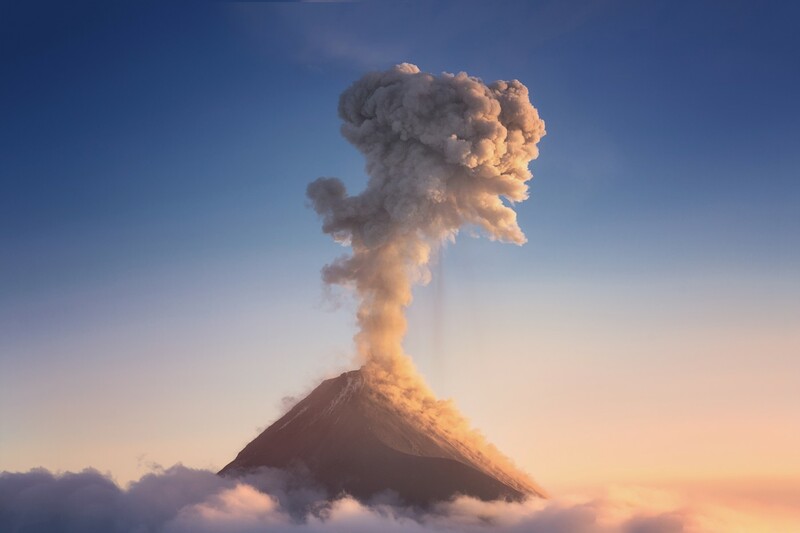 The next day, after a very tough steep hike, I found myself on the Acatenango volcano, arriving to the shooting location just before sunset. Unfortunately, it was very cloudy and I couldn’t even see the Fuego volcano next to me. However, the clouds were moving fast so I hoped it was going to clear up. It did. When I finally saw Fuego erupt up close, combined with the power of its sound, I was paralysed with awe. It was amazing. It was one of the most impressive things I had ever seen in nature. My research paid off. All the elements I needed to create the shot that I wanted seemed to fall into place. It’s a great feeling when things go as planned. The real show started as it got darker: Fuego kept erupting and the glowing lava finally became visible. It was surreal. The sight of an erupting volcano is something I was only used to seeing in movies. During the blue hour, the volcano unfortunately became calm for a while. Blue hour would have been perfect to shoot the eruptions as the contrast between the sky and the lava would not have been as large. I figured that it would be much more difficult to shoot during the dark hours of the night because of the increased contrast between the bright lava and the dark night sky. I was right. The pure darkness during the night made for difficult shooting conditions. The huge contrast between the bright lava and the darkness of the night made it extremely difficult to shoot everything in a single exposure. In this early shot, the lava is overexposed while the rest of the image is still very dark. For good close up shots with the Milky May, I knew I had to wait for the early morning blue hour and hope for a good eruption. Only until then, the Milky Way would line up with the volcano. Early in the night, only the fainter parts of the Milky Way were visible off to the left of the volcano. Even early in the night, the view was nothing short of spectacular. 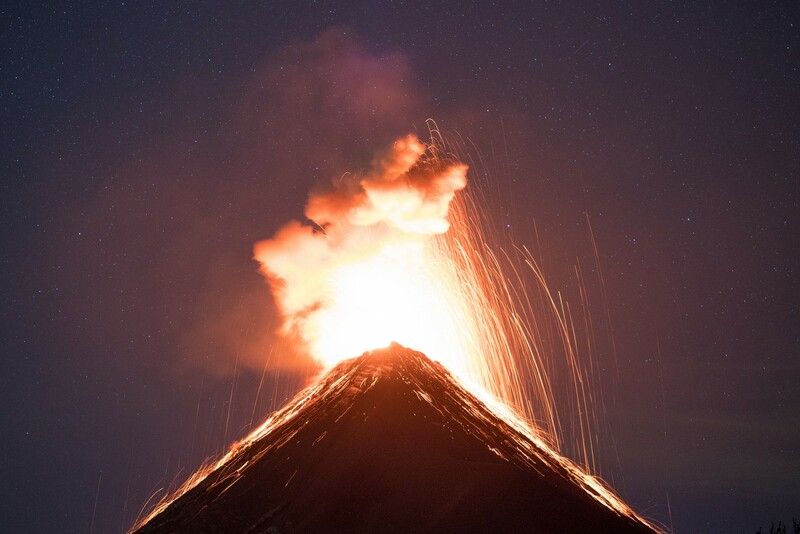 Seeing the Fuego erupt under thousands of stars was unbelievable. Below is a panoramic shot from the view in front of my tent. The volcano on the left is a sleeping volcano called Agua. Agua, water. Fuego, fire. In between these volcanoes are a few little towns. 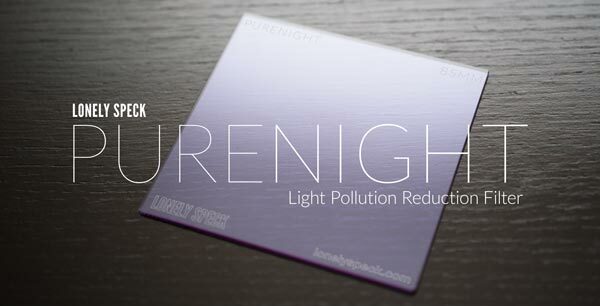 I was surprised to see that these towns did not cause that much light pollution the sky. Luckily, there was some kind of haze layer blocking some of the light pollution, allowing us to see a beautiful starry sky. I knew the best part of the Milky Way would arch across the valley in early morning, but I already found this view amazing. Early night panorama of the view from my tent, taken at around 9 PM. Sony A7RII, Samyang 14mm f/2.8, @ f/2.8, 25s, ISO 6400, panorama of multiple images. I kept shooting for a while until I decided to get some sleep in my tent around 10 PM. While it was around 30°C (86°F) in Antigua during the day, at 3500 m (11,483 ft) it was below 0° Celsius (32°F). Even though I was prepared, it was still extremely cold. Furthermore, I didn’t get very much sleep as the volcano periodically kept erupting in loud explosions. I eventually woke up around 2 AM for more shooting. As planned, the Milky Way stretched over the valley to the left of Fuego. Although all of this was amazing, I wouldn’t be me if I still wasn’t 100% satisfied. As I mentioned before, I really wanted a close up of the erupting volcano with the Milky Way. My best opportunity was that morning. I put my camera in position for the early blue hour when the Milky Way would still be visible. At that time, a very faint crescent moon had risen in the sky, giving me some extra light on the foreground. I set everything up and waited for the right moment. I just needed that right eruption. And then it happened. 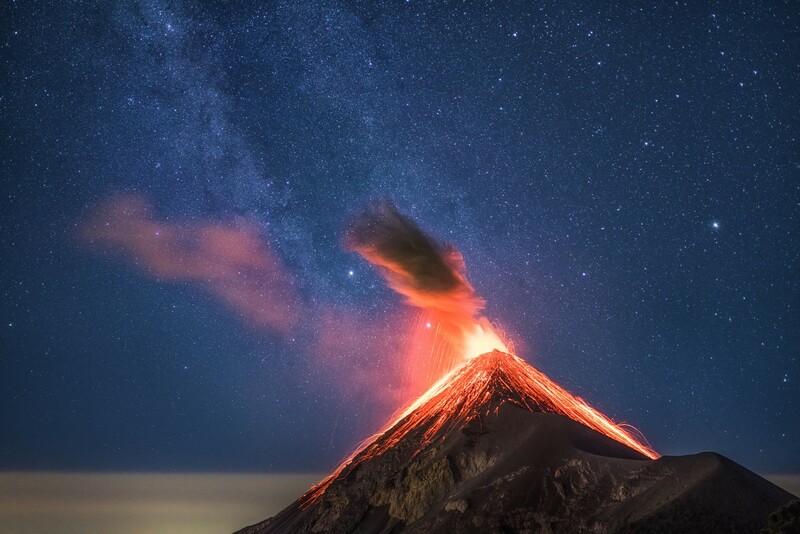 Erupting Fuego and the Milky Way. Sony a7RII with Sony Zeiss 55mm f/1.8, at f/1.8, 10s, ISO 3200. Single exposure. 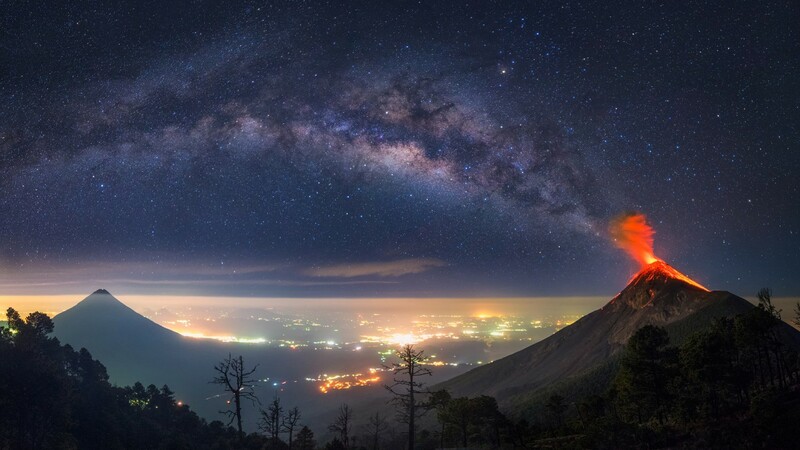 A captured a perfectly timed shutter with the Milky Way in place behind the fiery lava of the erupting Fuego volcano. When I first saw it on my camera screen, I couldn’t believe my eyes. The satisfaction that I got from succeeding in taking what seemed to be an almost impossible shot is hard to describe. Having the shots I wanted for the night, I enjoyed the warmth of the rising sun not too long afterwards. I was already satisfied so I didn’t shoot too much more, deciding instead to enjoy the moment. 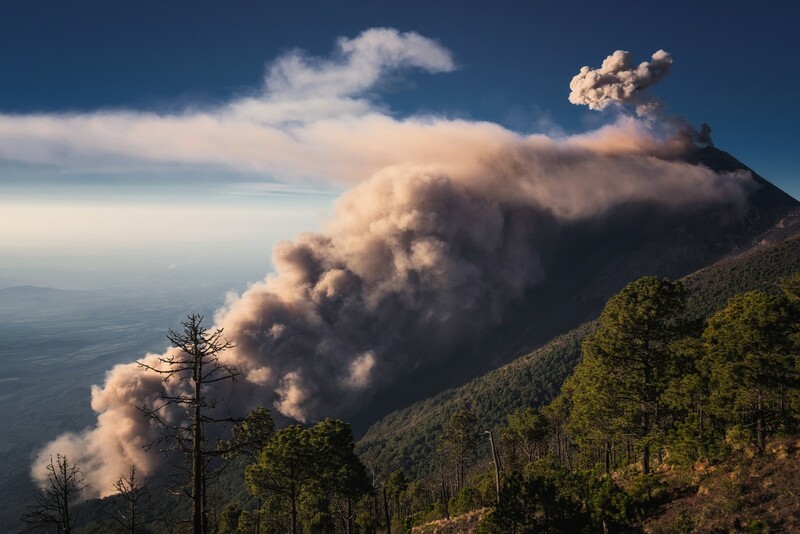 After the sun was fully up, the Fuego treated us a final goodbye show with nonstop eruptions that caused the whole valley to be covered in smoke and ash. I still feel that all of the images here still don’t do justice to the reality of my experience. Seeing a volcano erupt at night is one of the most beautiful things in nature I have ever seen. We hope that you enjoyed this inspirational article by our guest contributor and great friend, Albert Dros. Check out more of Albert’s spectacular landscape photography and astrophotography on his website: AlbertDros.com and follow Albert’s worldwide travels and photography adventures on his Instagram, Twitter, Facebook and 500px. 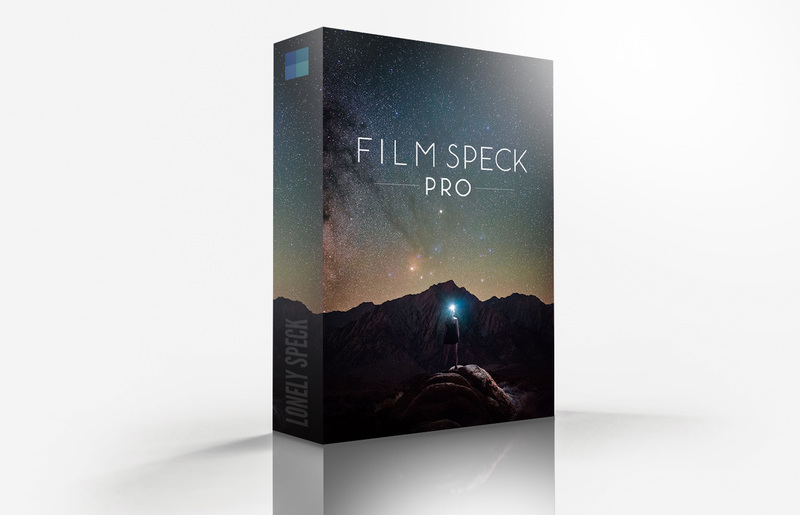 All photographs on this page are copyright of Albert Dros. All Rights Reserved. Spelt is a grain. Spelled is a verb. Sleep Deprivation is Real. Smelt is a fish, smelled the fish. Deep sleprivation is real. Thanks to everyone involved in bringing this story to us. 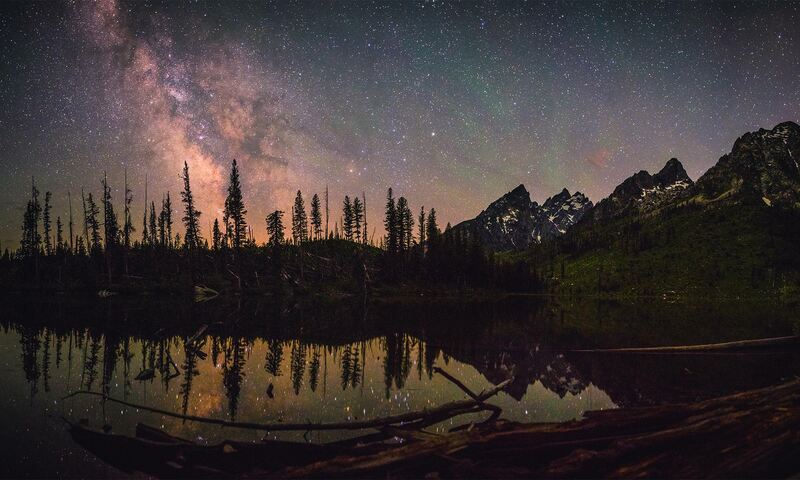 This has to be one of the most amazing Milky Way images I’ve ever seen. Albert Dros is a most talented photographer and adventurer. I will now follow him and be happy to help his adventures by buying any gear through his sites. Wonderful work! Sincerly you picture deserve to be posted in the APOD. For some people a picture like that is simple, but in reality, and that’s what you explained, it need very preparation and planning. 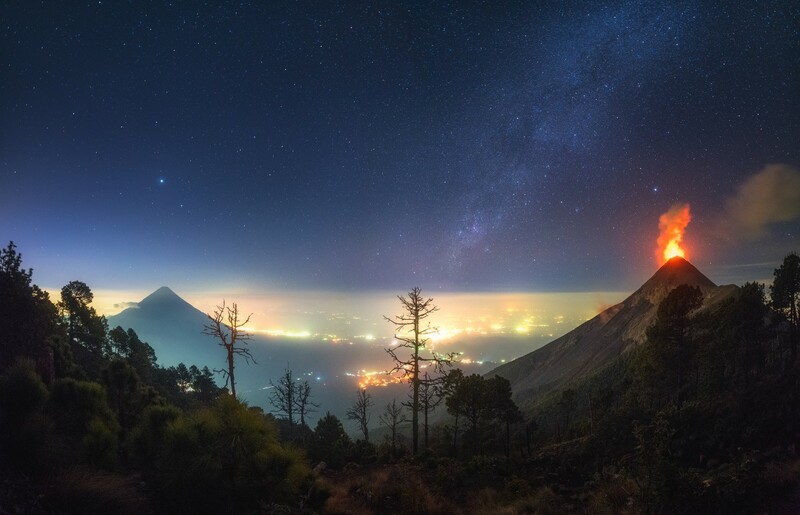 Wow these are very impressive shots, I personnally prefer the last panoramic one, where the Milky Way seems to break out from the volcano. Nice narrative too, it’s interesting to read how you managed to make everything work for you. As you said, luck has a part in it, but hard work is still more important ! Looks like I spelt my OWN website wrong. Time for bed I think…..
Great story, & amazing pictures. Well done Albert & thanks to Ian for posting it here too. Nobody really knows how much effort goes into astro images, apart from other astro photographers. 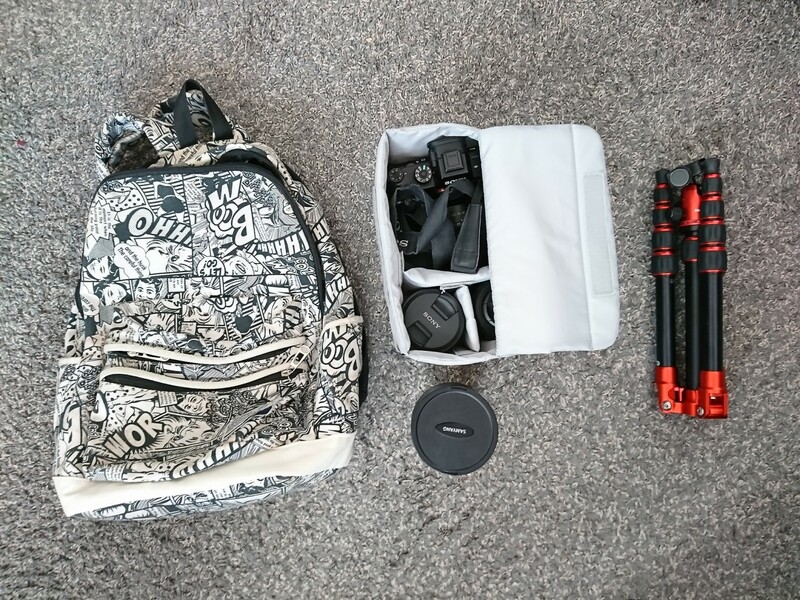 I live in Peru & also worry about my gear in Peru & Bolivia, so have a basic small North face backpack, but I dragged it about the concrete in the road when I got it, so it became an old looking bag pretty fast, yet still clean inside & fully working zips etc .